Fort Campbell is a “World Class Community” and is home of the Screaming Eagles, of the 101st Airborne—the Army’s only Air Assault Division. Berkshire Hathaway HomeServices PenFed Realty has had the opportunity for 20+ years to help men, women and their families relocate all across the United States. Not only have we watched the movement of soldiers in and out of Fort Campbell, but we have been actively involved. Many of our agents moved to Clarksville because they were a soldier themselves or have had a family member that was stationed at Fort Campbell. We have felt the pains of a deployment alongside each of the families that walk through our doors. Our Relocation Team has had the opportunity to help military families all across the world. Whether you have to buy, rent or sell, we are there to help. The Relocation Team has done the research to minimize your time online. 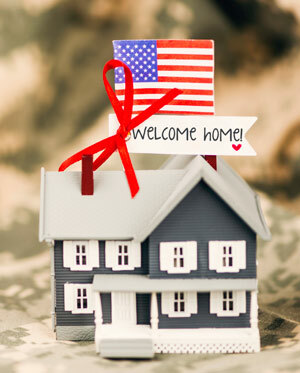 They look forward to offering the best customer service so that each time you move throughout your military career, you will return to our Relocation Team. Fort Campbell lies on the Kentucky – Tennessee boarder between the towns of Hopkinsville, Kentucky and Clarksville, Tennessee. Clarksville, TN and Hopkinsville, KY are patriotic communities. American flags fly from many poles, and yellow ribbons serve as a reminder of those away defending our freedoms. As Fort Campbell soldiers deploy and return from missions around the world, families, loved ones and the community greet them warmly.